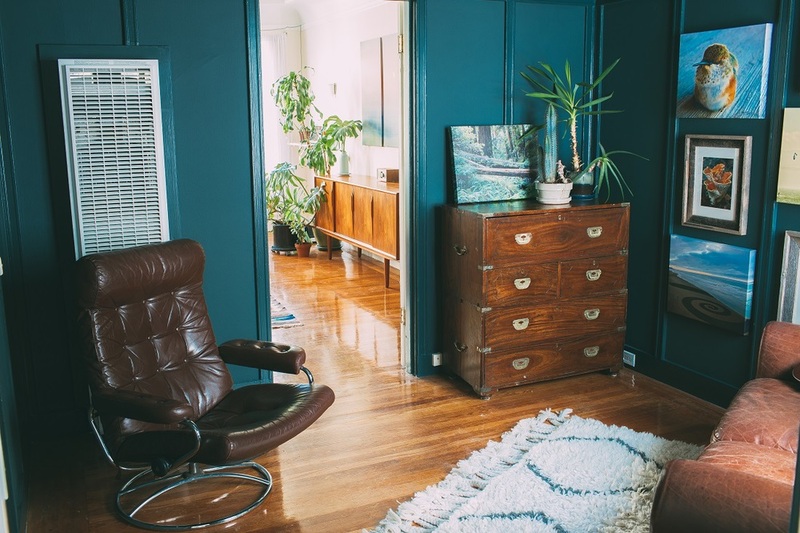 Many of us understand that while renting does have its benefits, one of the “cons” is that any demolition or major changes to the space are usually out of the question. With this post I hope to embrace the rental and detail ways to add personality to your space without having to pay out of your deposit. 1. White walls are the perfect backdrop for colorful art. Don’t be afraid to put some (small) holes in the wall to hang your art or shelving. Fork up $3 for some spackle at your local hardware store. This handy little white paste easily hides nail holes when it’s time to move out. 2. Make unexpected art from paper items. Paper is inexpensive and easy to hang. Check out the stores in areas like Chinatown or Latin American districts – stores in these areas usually sell an abundance of paper goods that can double as décor. You could even check out your local party store for unexpected inspiration. Because everyday is a party, right? Suspend a flock of lanterns, or in the case of my home, paper puffs. Monochromatic is extra powerful. I also use postcards as a rotating mini gallery on my refrigerator. The nice thing about paper is that it is not so precious. It opens up a lot of possibility and can even be recycled when you’re ready for the next thing. 3. Select a few small walls to use for an accent color. Be strategic here so that the wall has visual impact, but is small enough so that it is easy to paint white again at the time of move out. The wall I chose to paint pink has a white piece of furniture in front of it. This contrast helps the furniture pop against the background. I also did the opposite to my kitchen island and painted the base a dark brown, so that it would recede from the eye. I used the same pink to paint a third accent wall as you enter the bathroom. Here, the small touch of the string of black (paper!) flags makes the act of entering the stark white bathroom almost ceremonious. 4. Do not underestimate the power of task lighting. Task lighting is basically a fancy way of saying lamps. I think it might be impossible to have too many lamps. They add instant mood and ambiance in what might otherwise be a fluorescent-lit, crumbling apartment (I’ve lived in my fair share). In my current, thankfully non-crumbling space, I use inexpensive rope lighting to create a backlit effect behind my console. Since this sits against the pink wall, it has the unexpected benefit of creating dimension, fading from orange to pink when illuminated. It’s like a sunset every night in here! 5. 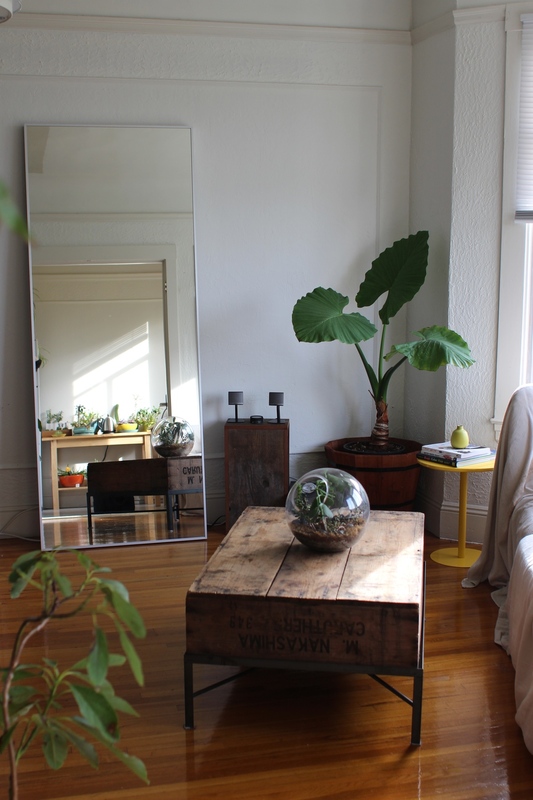 Plants make a big difference with air quality and all around hominess. If you have the sunlight, by golly use it! If you are afraid of your black thumb, start with just one easy-to-care for plant and slowly build your mini indoor jungle from there.